You might say that these are freely interpreted by us. To that we say "you literally can't prove that these songs weren't written about a dog" (unless you are the writer of any of these songs, at which point... fair?). Let's kick it off with one of the most convincing ones on this list. 'Lula On The Beach' could definitely be about a girl, but is far more likely to be about a dog. This theory is backed up largely by the video, but also the lyric "Head out the window, not surprising". Aaah 'Runaways' by All Time Low. A romantic tale of two star-crossed lovers on a mission to run away together? Or the story of a boy and his dog running away to seek adventure? It's the second one. It's a story about a boy and his dog running away to seek adventure. The word dog is in the title. Song about a dog: confirmed. Honestly, just listen to it. This is crammed with dog-related puns. It's so on the nose. The wet nose. Emily is a dog, and not a girl: confirmed. "You're the last of a dying breed" dog breed? "I was just an only child of the universe, and then I found you. And then I found you" sounds like someone adopted a dog who became an important part of their life. There are definitely a couple of dog-related lyrics in this. Thinly veiled ones like "stuck in my cage" and a reference to bones. Add in the context of the wolf masks. It's about dogs. We're veering in to the territory of 'could pull a muscle with this incredible reach', but hear us out. 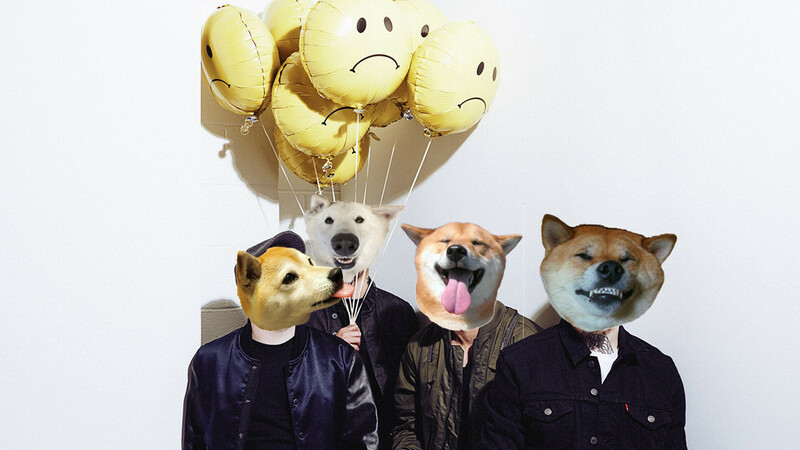 The band's name is PUP. The word PUP is right there. Also, there's a very real chance that this serious and brooding number could be about mourning the loss of a dog. It's an honourable mention. The boys in parx are dressed as dogs. There are a number of furry friends in the video. The song may not be written about a dog necessarily, but it's certainly dog-adjacent.